Today we have Martin Stellar with us! 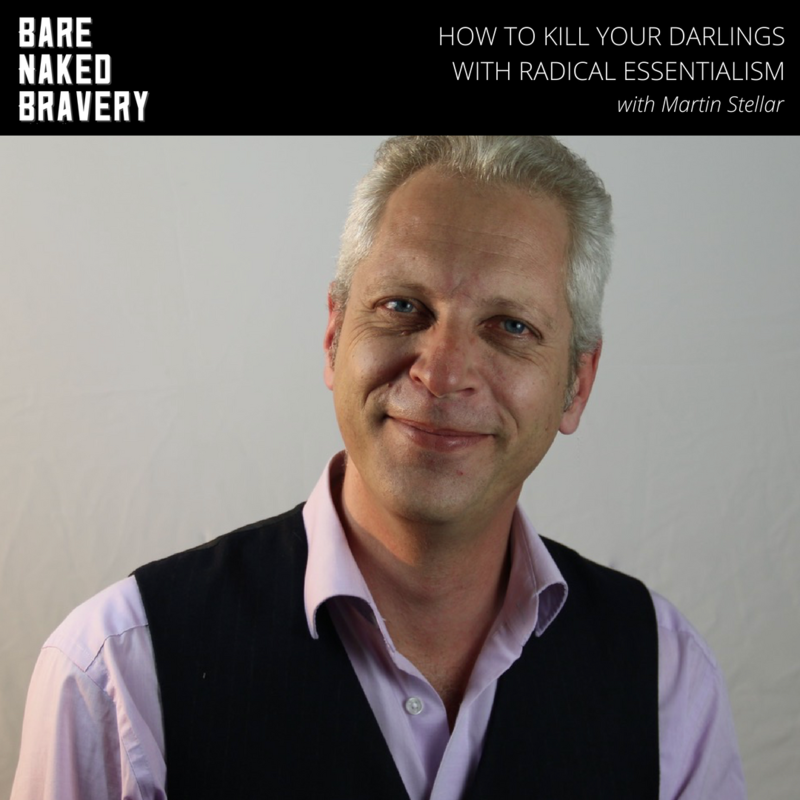 Martin is a former monk who is currently using those skills and experiences to assist ambitious creative entrepreneurs to really make a difference. He himself is a brave creative all around: Writer. Illustrator. Marketing Educator. Teacher of sales magic. Singer. and Psychology fanatic. I was particularly excited to discuss this month's School of Bravery theme of the Timing with him and how that element improves your improvisational skills and practice of building bravery. We discuss meditation. We talk about the struggle between process vs. progress and then take a deep dive into the subject of unattachment, judgment, and how to "Kill Your Darlings." Martin also mentions a really practical suggestion for knowing when to act on a new idea: put it "on the shelf" at least three times or until you find a "Hell Yes!" Beyond your free Bravery Bundle (which is always available at barenakedbravery.com) your Brave Take-Away from today's show is to try out Martin's suggestion of putting a new idea "on the shelf" this week. We'd love to hear all about your favorite parts of today's Bare Naked Bravery. You can find Martin Stellar and myself on facebook, twitter, instagram, and more. Go ahead and tag us so we can cheer you on and see what you're up to.